Nice spanish video review for Ed Hunter game, released officially back in July 1999 (prevously knows as Melt). 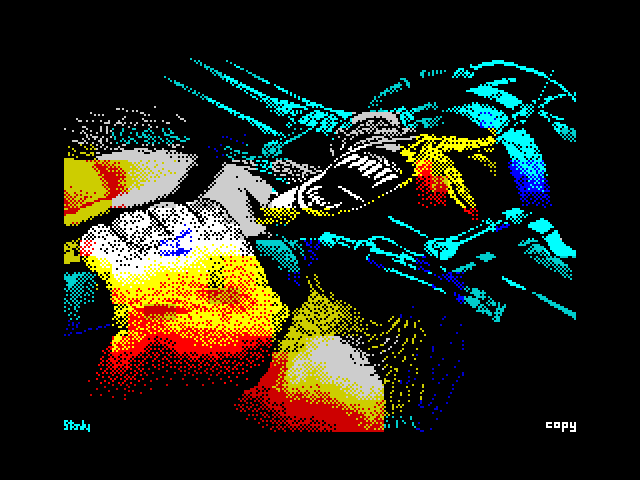 Some classic art for ZX Spectrum home computer by Denis Popirin from Vsevolozhsk (Russia). Here is black&white Eddie and color version of «Killers» album cover. 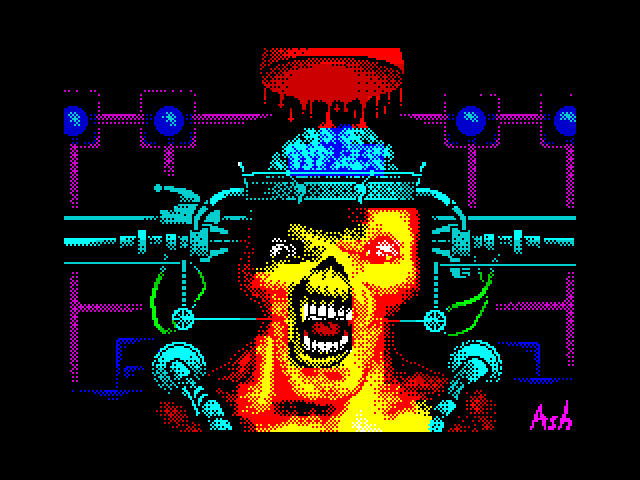 Both of them was used in 1994 release «Mind» by Cross-Road Home Studio for Sinclair ZX Spectrum 128K together with other Denis artworks based on Manowar, Metallica and original painting. 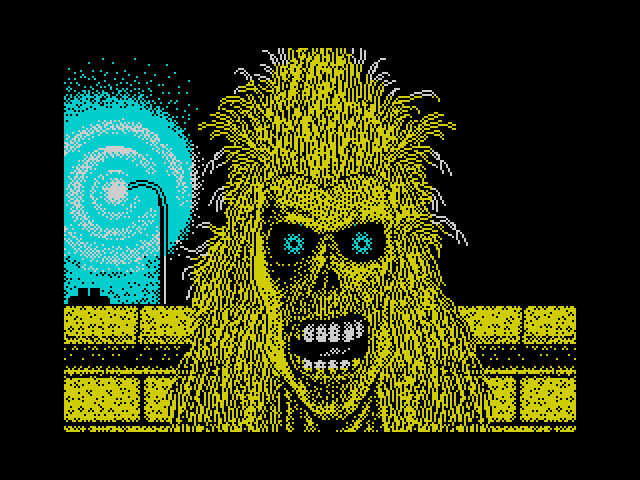 Anyway, you can still download it and launch on you Amiga or Sega Genesis emulator, or choose YouTube and point your browser at 6:00 for an hour and a half of 16bit Iron Maiden covers! 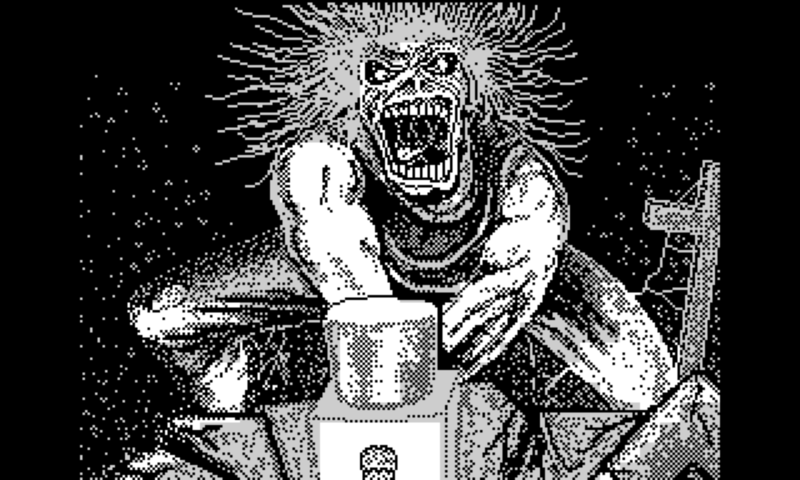 Back in 1988 team The Lost Boys released sampled music demo for Atari ST — one of the most powerful home machines at that times. 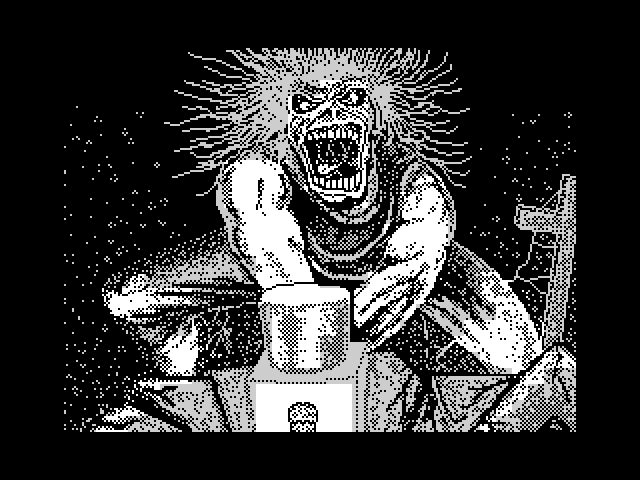 Listen to pure 8bit samples of Transylvania from first Iron Maiden album. Good example of burning (retro) ambitions — whole track sampled, remixed and packed into just 512kb of memory. Second one done by Stanly, this is inlay art form the same album but Eddie head seems to be a little bit out of proportion. Funny fact, but exactly this proportion error was on numerous bootleg CD’s sold during end of 90-s in CIS countries. You are visit retro tribute page for Iron Maiden band. Why retro? This is all about retro home computers like Commodore 64 or Atari and classic “maiden” visuals or audio converted for this machines.